The College of Charleston’s Arts Management program draws students from a wide range of backgrounds, even those whose aspirations aren’t necessarily focused on the nonprofit sector. This “crossover appeal” is what attracted alum Dana Dickie ’10 to the program in the first place. 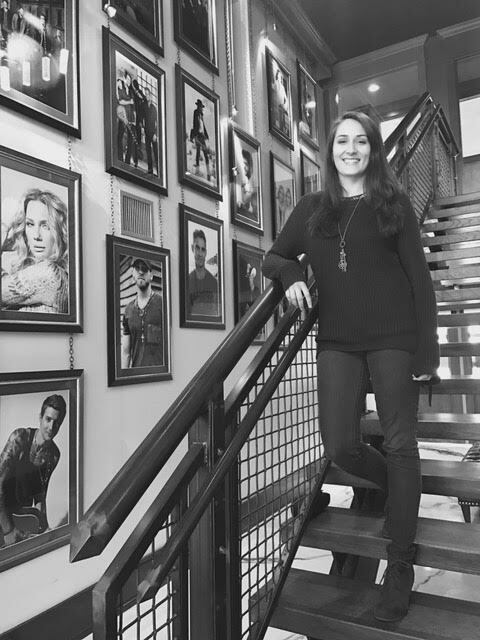 The Arts Management program, she says, offered her the opportunity to “combine business and creativity.” It’s a combination that has certainly worked out well for her career, in her role as a Royalty Coordinator for a music label in Nashville. 1.) Briefly describe your current job. What is an average day like for you? 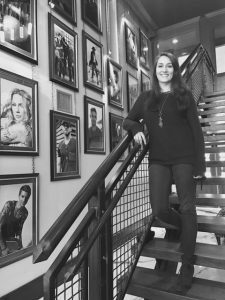 I am currently the Royalty Coordinator for Big Machine Label Group in Nashville, TN. BMLG is the world’s number one independent record label, thanks to the success of our artist Taylor Swift, Florida Georgia Line, Thomas Rhett, and Rascal Flatts. I have been a part of the label since October 2015, and it’s been an amazing ride so far! The royalty team’s job is to accurately report to and pay our artists, producers, and writers for every musical sale or stream they have in a quarterly or bi-annual time period. Although the job can sound glamorous (it definitely has its moments), my average day revolves around lots of big-number analysis. Let’s just say Excel is my best friend. My primary responsibility is to process, format, analyze, and question our monthly income from our distributor, Universal Music Group. I see income statements from all over the world, and I have to be in touch with what products we are releasing, exchange rates of the various countries, as well as what pay-out rates we should be seeing. 2.) How are you applying the skills you learned in the Arts Management program to your professional career? I certainly use a lot of critical thinking at my current job. Between creating events and the appropriate budgets to go along with those events, a lot of that type of thinking developed during my time in the Arts Management program. At Big Machine, we are all very encouraged to voice our ideas and opinions. Luckily, I feel that the Arts Management program always encouraged an open forum for this kind of creative brainstorming. Developing a creative mindset while in school is a tool I routinely use in the real world and shouldn’t be overlooked. I was always pushed while at college to do more than I thought I could. 3.) Do you have any particular memories from your time in the Arts Management program? I really enjoyed some of the group projects we did in the Arts Management program. I specifically remember creating a music runway show called Rockin’ the Runway (or something along those lines). It was fun to be creative, while also using our business brains to make sure the event would work financially and logistically. That is what I most enjoyed about the program: the ability to combine business and creativity. That kind of thinking can go a long way! 4.) What area of the arts are you passionate about? How did the Arts Management program help to fuel those passions? Although I did enjoy learning about the nonprofit side of the arts while in school, I always knew I was more interested in the for-profit sector and specifically the music industry. I, like many in this line of work, have loved music since a young age. I played piano and always enjoyed singing while growing up. Music was something I leaned on as I navigated life’s difficult times. The Arts Management program opened my eyes to the many facets of the art field, and they offered courses to help me further explore my particular interests. I was also encouraged to take courses outside of the business realm, including drawing and aesthetics. I felt that taking time to explore more than just business gave me a well-rounded experience to take with me when I graduated in 2010. 5.) What advice would you give to a new student or someone considering the program? My advice would be to do it! I would encourage them to also minor (or double major) in a field that complements the program, whether that be a performing art or a more business-focused field like I did. The more experience you can get the better. My other major piece of advice would be to seek out internship opportunities in the particular field you are interested in. I interned at Spoleto Festival, Charleston Fashion Week, and Gold Mountain Entertainment. All three were very different, but they were all wonderful experiences that exposed me to new people and roles. My internship with the music management company Gold Mountain was the first door that opened for me. Life will take you where you want to go if you allow it to. Don’t be afraid to step outside of your comfort zone, and amazing things can happen!